Language is a perception, so it's okay to make your own Dictionary. I decided to omit the word, Problem. Currently becoming a fashion blogger is quite something. More and more blogs are made. I am very much happy to see these creative young people. Although I am not into fashion but I just love to see their unique and confident way in their everyday's wear. My favourite fashion blogger is Diana Rikasari's blog. Always love to see her colourful and cheerful way in dressing even her house is also so dynamic with colour and pattern. It definitely might become a mood booster. As a creative person Diana did lots of creative activity. Beside managing her blog, having shoes business, she also a wife and a mother of one-cute-boy. Now she has one more profession as an author. 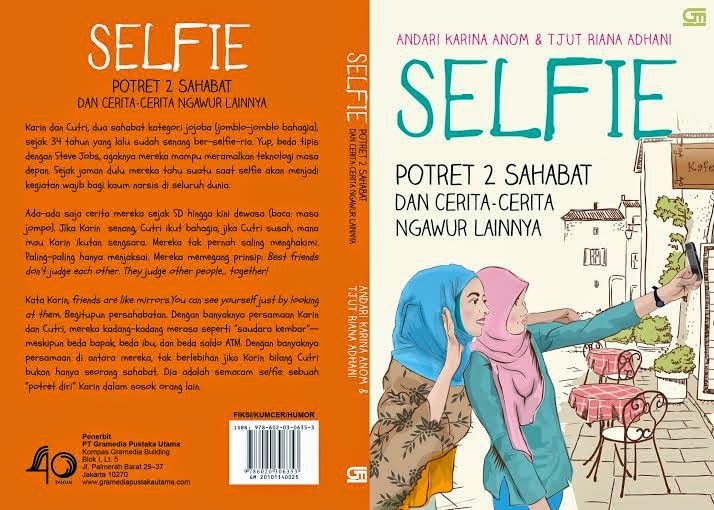 No, it's not a book about fashion in fact it's a self improvement book. 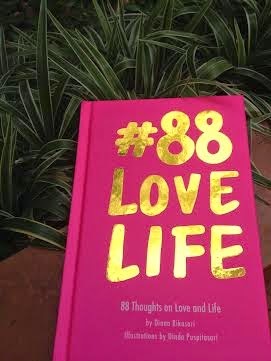 Diana shares her 88 thoughts in love and life completed with beautiful illustration. The thoughts are compilation of her writing since 2007. One more thing that I love about Diana is her positive attitude towards everything. She also experienced the up-and-down of life however no matter how hard the condition was she always tried to see the bright side of everything. Such an inspiring person. The decision to be happy is not made for you. It is a decision you make for yourself.